It was a warm and extremely windy week that I would have enjoyed if it weren’t for my back that acted up and was absorbing all my strength and time. And as soon as my back got slightly better my neck has decided it was a good time to become a prima donna. I’m not done with my weekly reading (it’s very annoying but I can’t even read for too long since it hurts) but since I was collecting posts that created lemmings, made me laugh or reviewed perfumes I love, I decided to publish it while I still can. I might lie low for a while – to let my body heal. But when I can, I’ll catch up on the reading your posts. Civava (Parfumista’s Diary) published the first review for the upcoming Neela Vermeire‘s new perfume Ashoka: My first impression was that this is strange and so different from all other perfumes in Neela’s collection. But very quickly fig milk and more flowery notes emerged. It is lactonic and with skin (at least mine) gets very nice. I wouldn’t say gourmand, because there is not enough sweetness and other spicy elements. I look forward to trying it when it comes out in autumn.1. Blacknall (aperfumeblog by Blacknall Allen): I remember vividly that Sister once caught me by breaking her routine and moving diagonally across the classroom to make a casual inquiry about a compound-complex sentence while I had a mouthful of the things. When her queries about the main verb went unanswered she swiped me upside the head and I spewed black spit all over the desk top. I don’t believe either of us ever really lived it down. Kafka (Kafkaesque): There is a certain chilly coolness to the elegance. While Puredistance’s founder, Jan Ewoud Vos, feels the perfume evokes his mother (whose name is Antonia), to me, it conjures up a beautiful, slightly haughty, aristocratic European socialite from the early part of the 20th century, languidly lounging in a stunning dress. Here’s my Shahrazad’s tale for this perfume. The Perfumed Dandy (The Perfumed Dandy) sees mybeloved Diorella as a Lady of the Knives. Earlier I told the story of my first love in which Diorella played an unexpected part. Kafka (Kafkaesque) also reviews my favorite Tom Ford‘s perfume – Arabian Wood: By the start of the second hour, the perfume is truly pretty. The sandalwood has joined the party on the forest floor. It’s beautifully creamy, and its richness feels very much like the real thing, not a synthetic version. Together with that velvety patchouli, it’s a strong backbone for much of the perfume’s remaining development. This entry was posted in Weekly Roundups. Bookmark the permalink. ← Olfactif: Yay or Nay? Back pain is the worst, right up there with having a toothache. I have been nursing some lower back and leg pain myself so I understand what you are going through. I hope you are able to find some relief. I’ve got a lemming for Ashoka too. I doubt it will knock Trayee out of the spot as my favorite scent by Neela but you never know. Now I know that neck is even worse than the back ;) But I’m getting better. Undina, I hope you feel better soon. You put together a lovely round-up, judging by these excerpts. Off to go read these posts – thanks for pointing them out. Thank you, Suzanne. I’m working on getting better. So sorry to hear about your back and neck! Definitely let yourself heal. And thank you for this wonderful series. Get better soon, hope your back and neck are not stubborn and will leave you alone shortly! now YOU are making ME laugh :D !! I also laughed at Kafka’s post but it came out on Sunday so it’s for the next week’s weekly post (if I get to it). I like all of your reviews, but in this case you wrote about perfumes I love – and I always try to promote those (both perfumes and reviews :) ). I saw both already – a chiropractor and “or something” (since the former can’t do a prescription without whichI couldn’t sleep). I’m getting better but much slowlier than I’d like to. Ooh, so sorry about the back! That is really painful, I hope you feel better soon, and in the meantime, find something healing to smell! “Smelling” was one of a few things still available to me – even when I couldn’t read/write anything onmy computer. I was very grateful to my perfumes for supporting me. Oh, so sorry to hear that you have not been feeling well. Hope you are better soon. Thank you, susan. I’m trying my best. Jicky was my choice when I felt the worst: I wanted to wear something as I was going to a doctor but didn’t want to spray anything. So Jicky extrait was just the perfect choice. Undina, I hope you feel better. Another nice episode of Laughs, Lemmings and Loves. I think I had mentioned that I went to Catholic School but thank goodness, we had secular teachers and perhaps they were more lenient than nuns when it came to corporal punishment (and it wasn’t considered child abuse way back when — just discipline)…and by the way, the school was strict — we were NOT allowed to wear perfume! Thank you, hajusuuri, I’m getting there. I didn’t go to Catholic School (thanks G-d! ;) ) but in our regular schools no cosmetics or perfumes were allowed ever. I was sent home to take off a transparent nail polish once. Undina, I’ll hope you will feel better soon! Speaking of lemmings,:Sigrun caused me a BIG one (and an instant review :-) last week: Le Parfum Couture Denis Durand for M.Micallef, incredible fragrance, a must have! Interesting! I missed that review. Thank you for bringing it to my attention. 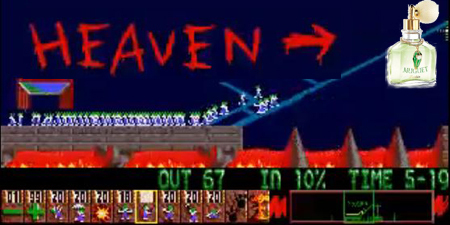 I’ll check it out (not that I need more lemmings;)). Thank you, Natalie! It’s such a pain in the … neck! :) I’m very tired of not being able to do simple regular things (such as putting the socks on, for example!). But hopefully I’m healing now. So sorry about your recent bout of back and neck pain – that can be so sapping. I am even more curious to try Ashoka now – figgy milky scents are right up my alley. Thank you, Vanessa! I do feel better today. So hopefully in a week or so I’ll be completely back to my regular state. I always love a laughs, lemmings, and loves post! But I am so sorry to hear about your back and your neck! Last year, I had terrible back and neck pain that was starting to give me migraines. I went through some physical therapy, but honestly the best thing that I learned is to sometimes ditch my pillows and sleep with a rolled up towel as a neck roll. I think that the real culprit was my crappy mattress since my back and neck have been so much better since I got a new one. In any case, I truly sympathize and hope that you are feeling better!